In all my prayers for all of you, I always pray with joy because of your partnership in the gospel from the first day until now. 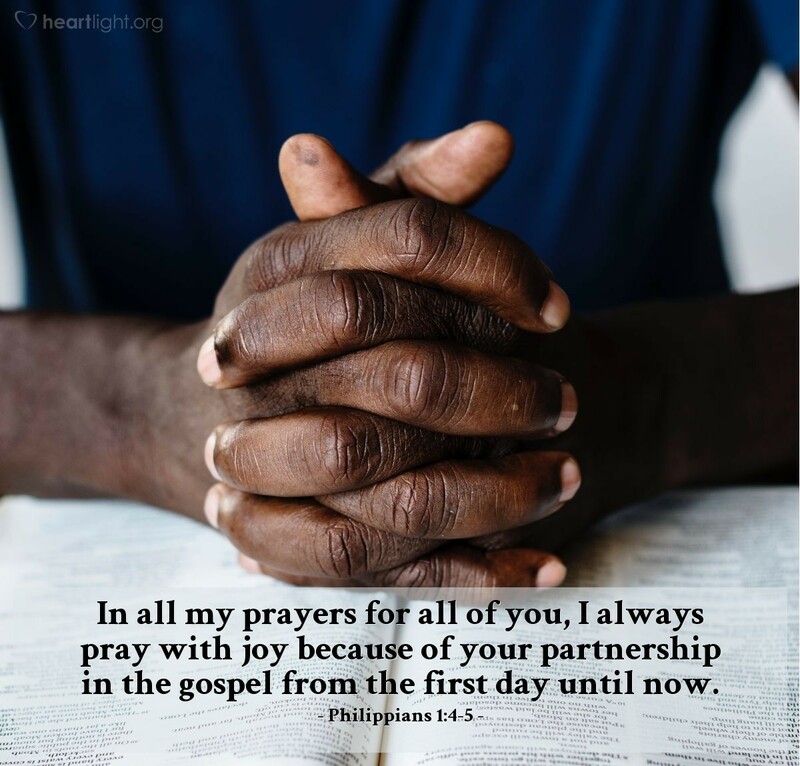 Paul prayed with joy because the Philippians were partners with him, not just supporters. Through their financial help, prayers, and interest in his work, they truly shared in his ministry. They were partners! Let's get interested in our congregations' missions. Let's pray and contribute to missions and get to know our missionaries. Let's get to know our missionary partners all over the world! Father in heaven, I pray that your will be done on earth as it is in heaven. Please bless and empower the spread of your Kingdom. Protect and strengthen those with whom our church is partnered wherever they may be. Bless them with greater resources, maturity, and character. Help me to recognize and to do the things that I can do to support and encourage them. In Jesus' name I pray. Amen.